Hi, it's Bea again from beaquilter. Hi, It’s Marjorie Busby from bluefeatherquiltstudio.com and I'm excited to share how to take a single block using the GO! Qube™ Mix & Match 10" Block and the GO! Qube™ 10" Companion Set–Corners to make a striking 40"x 40" quilt with four blocks and a pieced border. The new AccuQuilt GO! Mix and Match 10" Block is a wonderful addition to any collection because you can easily calculate a quilt size since each block is 10". The blocks I used are from the 216 Block Brochure located on accuquilt.com allows quilters to choose from an infinite number of designs. 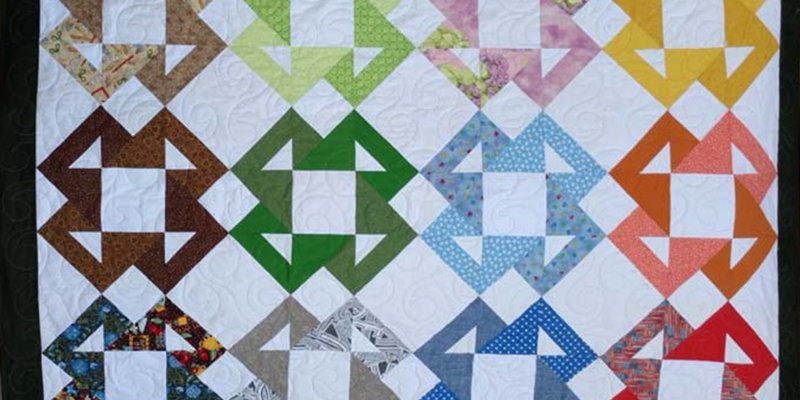 Turn the blocks in different orientations and make even more quilt designs. Watch out. The endless design options can be addictive! Hi everyone, it is Connie, Freemotion by the River, with another fun AccuQuilt® tutorial. Today I am sharing a beautiful batik mini table runner made with the new AccuQuilt GO!® Spider Web die.